For those who have a vested interest in seeing the craft beer culture grow and mature in the Lower Mainland, you should be using VCBW as an opportunity to leverage your marketing. The more voices there are talking about craft beer at this time, the more notice it will get from businesses, the media, and the public. Just look at what happens with Dine Out Vancouver and the Vancouver Playhouse International Wine Festival. Like them, VCBW drives business. So while you may not be directly involved or able to participate in Vancouver Craft Beer Week this year, you can still benefit from it by joining the chorus in support of craft beer. This will ensure VCBW is bigger and better next year. What to do? You and your friends should join the VCBW Facebook fan page and share Wall posts, photos, etc. ; follow VCBW on twitter to tweet & retweet about VCBW generally, specific events, venues, and breweries; “Favorite” all VCBW tweets; and view the ‘I am a Canadian Craft Brewer‘ video, making sure to click “Like.” Have a blog or Web site? Post something to let your visitors know and link it to the VCBW Web site for further information. What does this amount to? Consider the impact of the voices of a dozen people as compared to a packed GM Place – the more voices, the greater the effect. Ultimately, the market responds to demand. This is how, at the grassroots level, we build demand for craft beer, working collectively in support of each other. Both individuals and businesses benefit. Postscript: VCBW’s Director of Marketing, Chris Bjerrisgaard, wrote an interesting analysis of the key role social media played in the success of the inaugural festival. I wish I could make it this year. When do the dates come out for next year? I would love to pencil it in! The organizing committee meets on Thursday. That will be one of the topics for discussion. 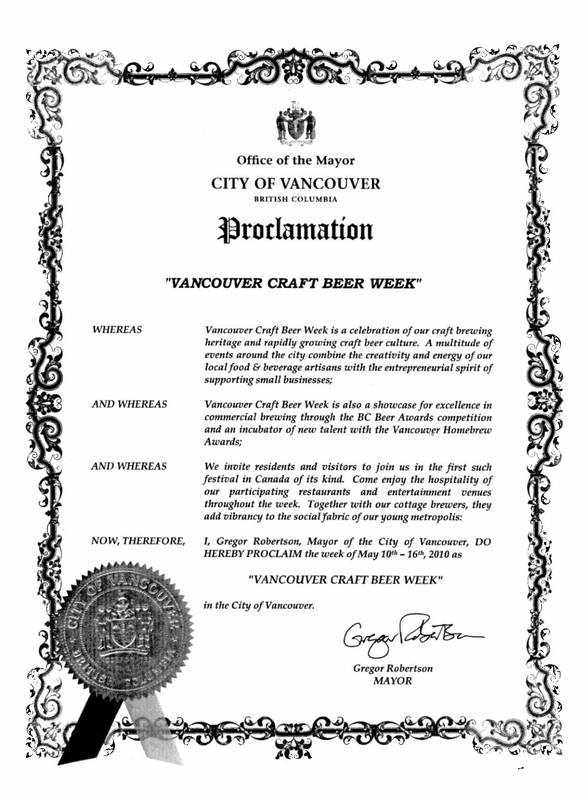 We’ll want to make sure that we don’t have it on the same week as Seattle Beer Week. I think a little bit of overlap, like this year, is okay.